LEXINGTON Two new specialists have joined the oncology team at the University of Kentucky Markey Cancer Center. Lowell Anthony, MD, specializes in the treatment of neuroendocrine tumors and gastrointestinal cancers. At Markey, Anthony will lead and develop the Neuroendocrine Clinical Oncology Program. He will focus his research efforts toward Phase II trial in neuroendocrine tumor patients with the anti-FGF agent dovitinib (TKI258) in addition to developing other clinical trials for neuroendocrine tumors. John Villano, MD, PhD, specializes in the treatment of brain cancers. He will develop UK’s Clinical Neuro-Oncology Research Program, serving as its director. His research focus will include developing clinical trials for neuro-oncology tumors. Villano will also serve as an associate professor of medicine in the UK College of Medicine. LOUISVILLE Jewish Hospital & St. Mary’s HealthCare announces that Louisville Surgical Associates has signed an agreement to become part of the their organization. This practice includes Drs. Joseph Blandford, Joel Garmon, Vincent Lusco, Rodney McMillin, John Olsofka, Bryce Schuster, and Robert Stewart. JHSMH also announced that Chris Theuer, MD, will be joining Louisville Surgical while continuing to perform surgeries at Jewish Hospital Shelbyville. Plans are also underway to further increase Louisville Surgical’s presence in Shelbyville beyond Theuer’s outstanding work. Louisville Surgical is a general surgical group, which has provided surgical services to Louisville patients for more than 30 years. Their primary office is located on the campus of Sts. Mary & Elizabeth Hospital (SMEH) in Louisville. Bariatric specialists at Louisville Surgical have developed the only program in the area designed exclusively for the care and management of the LAP-BAND® System. The program has been recognized nationally for its success with more than 2,500 of the procedures performed at SMEH by Louisville Surgical. Other sub-specialties for this surgery practice include advanced breast care, advanced laparoscopy, and endoscopy. LOUISVILLE Michael Hack, MD, family medicine, has joined Baptist Medical Associates’ 9070 Dixie Highway location. Hack is a 2000 graduate of the University of Louisville School of Medicine. He completed his family medicine residency with the Trover Foundation in Madisonville in 2003. Hack was previously a pharmacist and graduated from the University of Kentucky School of Pharmacy in 1990 with high distinction. He is board certified in family medicine. LEXINGTON Sibu Saha, MD, cardiothoracic surgeon at UK, was recently recognized for his lifelong contributions to the fight against lung disease by being named the recipient of the 2011 Lung Health Champion Award from the American Lung Association in Kentucky. LOUISVILLE Sts. Mary & Elizabeth Hospital (SMEH) recently opened the hospital’s new renovated interventional cardiology lab, one of 40 pilot projects in the United States. The Jewish Hospital & St. Mary’s Foundation was the recipient of $594,000 in federal funding to purchase equipment for the lab, which will help residents of south Louisville to receive quality care more quickly. Previously, those same patients had to be transported to another facility across town. The new lab enables doctors at SMEH to perform emergency angioplasty onsite in an effort to open blocked arteries within minutes of arriving at the hospital. Arun Ummat, MD, of Bluegrass Cardiology Associates has been performing interventional cardiology procedures for three decades. He practices at SMEH, but until recently he could only perform the interventions at other facilities, such as Jewish Hospital. DANVILLE Ephraim McDowell Health announces the opening of the new Ephraim McDowell Specialty Center in Danville. The Specialty Center will house Ephraim McDowell’s Cardiology, Vascular, and Pulmonology specialty practices. It will also be the new home of the Commonwealth Neuroscience Center. Located at 216 West Walnut Street, the center is directly across the street from the City Parking Garage. The new facility will offer an enhanced patient experience with improved access and convenient parking. Even though several specialty practices are moving into the clinic, there is additional space for future growth. The Clinic will house Ephraim McDowell Cardiology (Drs. Grigsby and Messerli), Ephraim McDowell Pulmonology (Dr. Imtiaz), Ephraim McDowell Vascular (Dr. Weintraub), and Commonwealth Neuroscience Center (Dr. Nidhiry). LEXINGTON UK has opened its long anticipated hybrid operating room, as well as eight new, state-of-the-art, multi-purpose operating rooms, as the most recent phase of construction and expansion at the UK Albert B. Chandler Hospital is completed. 42 bed pre-operative and post anesthesia care unit (PACU); Surgical pathology area; Family waiting area; Anesthesia workspace and offices; Staff lounges and conference room; and Central Sterile Supply. Advantages to a hybrid operating room include greater accuracy of surgical procedures, reduced recovery time, reduced risk of postoperative complications and need for treatments in the hospital’s intensive care unit, according to Jay Zwischenberger, MD, surgeon-in-chief for UK HealthCare. LOUISVILLE To help physicians begin their education on new reimbursement and publicly available physician data, KMA offers free PhysicianFACTS reports to KMA members. The individualized report shows physicians what information is currently available about them on the first iteration of the government’s Physician Compare Website, as well as other publicly available information. To request your KMA PhysicianFACTS report, download the form at www.kyma.org and send to Sarah Nielsen at nielsen@kyma.org. LOUISVILLE Anthem Blue Cross and Blue Shield and Norton Healthcare announce the extension of Anthem health care coverage for those using Norton Healthcare facilities through to the end of January, 2015. This extension comes well in advance of the October, 2012 end date of the current agreement. Terms of the agreement extension were not disclosed. This agreement covers all Norton Healthcare facilities and employed physicians. Anthem members enrolled in Blue Access/Access (PPO), Blue Preferred/ Preferred (HMO), Blue Traditional/ Traditional or Medicare Advantage HMO/ PPO will continue to receive covered services from Norton Healthcare at the highest level of benefits, with limited out of pocket costs. LEXINGTON Rabab Mohsin, MD, an internal medicine resident at UK, won the 2011 Young Investigator Award from the Kentucky Chapter of the American College of Cardiology, for research done with Alison Bailey, MD, of the UK Gill Heart Institute. Mohsin received the award at the Kentucky-ACC annual meeting held at UK. The award was for research conducted in conjunction with the Kentucky Women’s Health Registry. Working with KWHR, Mohsin, Bailey, and fellow investigators identified women who reported arrhythmia (irregular heartbeat) identification and treatment. Specifically, the investigators worked to determine whether prescription warfarin (an anti-coagulant known as a safe and effective treatment for atrial fibrillation) was being appropriately utilized among a population of Kentucky women with self-reported atrial fibrillation. Survey data revealed that among the group of women who would be expected to be receiving warfarin, only 30 percent were receiving the drug. Overall, Mohsin, Bailey and fellow investigators concluded that warfarin anticoagulation treatment for atrial fibrillation is underutilized in the group of Kentucky women studied, and that this underutilization is not attributable to economic or educational disparities. DANVILLE Ephraim McDowell Health is proud to announce that Vicki A. Darnell, president and CEO, Ephraim McDowell Health, has been appointed to a National healthcare quality improvement committee. The Premier healthcare alliance board of directors has appointed 10 top U.S. hospital and health system leaders to a pair of stockholder committees. The committees help to lead the alliance’s more than 2,500 hospitals and 80,000-plus other sites in efforts to transform and improve health care. The Quality Improvement Committee (QIC) and the Group Purchasing and Member Relations (GPMR) Committee, with expert executives from 37 Premier members and outside representation from the Institute for Healthcare Improvement, serve in an advisory capacity to Premier’s board of directors. Owned by hospitals, health systems and other providers, Premier maintains the nation’s most comprehensive repository of clinical, financial, and outcomes information and operates a leading health care purchasing network. LEXINGTON Alan Daugherty, PhD, DSc, senior associate dean for research in the UK College of Medicine and director of the UK Saha Cardiovascular Research Center, has recently received two major honors from the American Heart Association, including being named editor-in-chief of a major scientific journal. Daugherty has been named the new editor-in-chief of the AHA journal Arteriosclerosis, Thrombosis, and Vascular Biology (ATVB). He will assume this role during the first half of the 2012 calendar year. ATVB is a pre-eminent peer-reviewed academic journal chronicling the latest advancements in cardiovascular research. Daugherty also recently accepted a 2011 ATVB Special Recognition Award in Vascular Biology. This award honors an outstanding member of the American Heart Association’s Council on Arteriosclerosis, Thrombosis, and Vascular Biology. Presented during the recent AHA Scientific Sessions in Orlando, Fla., the award recognizes major contributions to the affairs of the scientific council over a continuing period of time, as well as substantial professional contributions to the field. ST. MATHEWS IDG’s Computerworld announces Jackie Lucas as a 2012 Premier 100 IT Leaders honoree. This year’s Premier 100 spotlights 100 leaders from both the technology and business sides of companies for their exceptional technology leadership and innovative approaches to business challenges. Lucas is vice president and chief information officer (CIO) for Baptist Healthcare System, Inc. She was selected from more than 1,000 nominations, and shares her honor with CIO peers from companies such as Hilton, Intel Corporation, Blue Cross Blue Shield, Target, Raytheon, Wells Fargo, Toyota, and more. Lucas joined Baptist’s Information Technology (IT) management team in 1993 and served in several corporate IT director roles over strategic projects, clinical and revenue cycle systems, integration and databases and program management before rising to vice president and CIO in 2006. 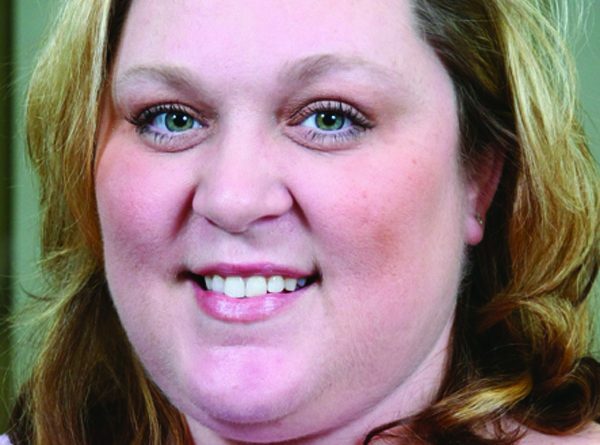 LOUISVILLE Whitney Perry, APRN has joined CBC Group: Consulting in Blood Disorders & Cancer, a part of Baptist Medical Associates. 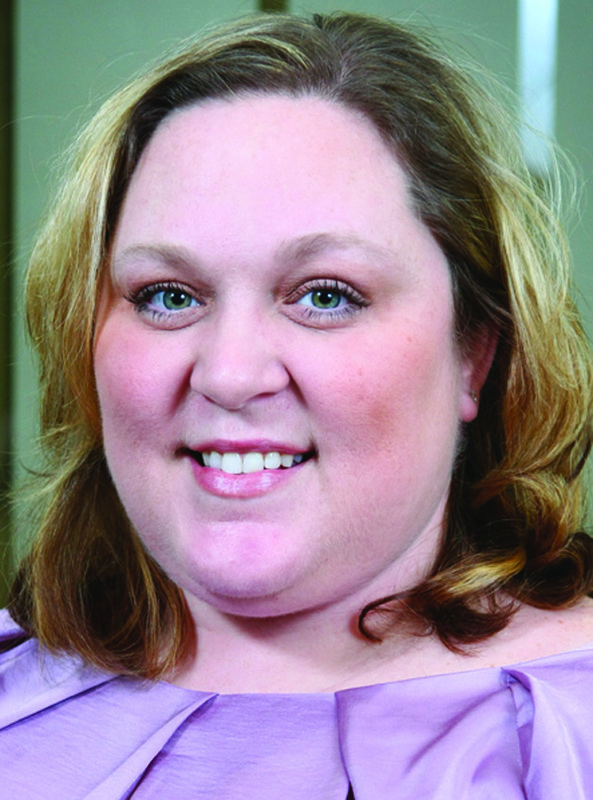 Perry holds a bachelor’s degree in nursing from Bellarmine University and is a 2010 graduate of the Bellarmine University family nurse practitioner program.